We still have a few Tamworth piglets available for sale out of the most recent litter (some are already reserved). 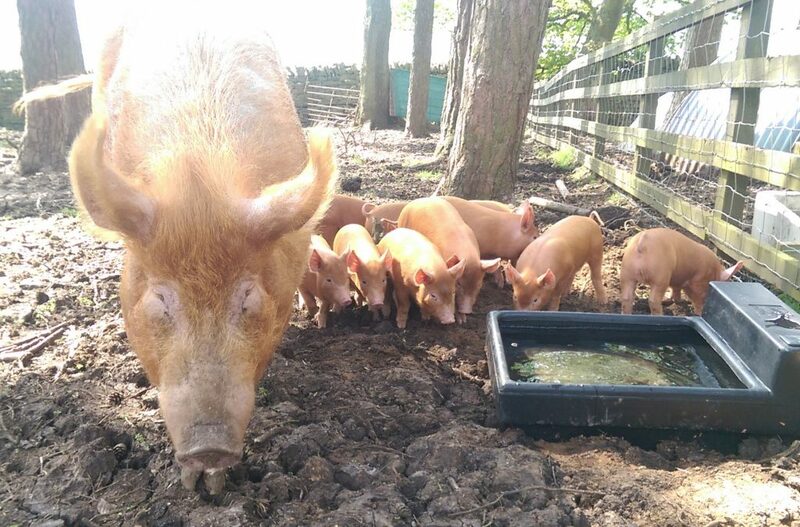 The mother – Esther – is a registered pedigree sow, very good-natured and calm around people. These are good hardy stock, well suited to living outside all year round although we usually bring our sows inside to farrow – both for our convenience and their comfort. Born on April 5 so they will be ready to go by the last weekend in May but both the sow and her litter can be seen before then if required. They are currently living outside in woodland so they will be used to electric fencing.